App Builder Appy Pie January 19: In this post, we will discuss main features and functionality of a social media app. The highlight of the blog is a step by step tutorial video on making a social media app like Facebook, Twitter, or Instagram, with Appy Pie’s App Builder!Let’s break down the whole process of making a social media app and its features before you create your own app with Appy Pie! 2.1 What Is A Social Media App? 8. How To Develop A Social Media App MVP? 10. How To Develop A Social Media Platform? This is a world of connectivity and networking and one of the most effective ways to do so today is through social media networking. The world has changed in the way it interacts today and the digital platforms have assumed great importance in our lives. The most sought-after category of apps today is the social media app category as the average global citizen is always on the lookout for novel ways to communicate. As an entrepreneur who has a great idea for an app to revolutionize the world of social media, it might turn out to be a gateway to becoming the next Mark Zuckerberg or Kevin Systrom. But how do you get there? Is your idea ready to become an app? What features do you need to incorporate, how would the idea turn into a reality? Are any of these questions bothering you? Let’s get cracking on the problem at hand and look deeply into creating a social media app with Appy Pie’s App Builder. The social media are interactive internet based applications. It is the user generated content including text posts and comments, digital photos and videos, and the data generated through all the online interactions is what keeps the social media running. These social media allow the users to create service-specific profiles for the website or the app. These profiles however, are designed and maintained by the social media company themselves. The defining feature of social media is that they make it possible for the social media networks to develop by allowing one user profile to connect with the profile of others who are present on the same platform. 2.1. What Is A Social Media App? Today the world is all about mobility and the freedom of mobility offered by the new age smart phones are giving a new high to the ability to move with every possible service and product in your pocket. Hence it is only natural that the social media services be translated on to a mobile app. The modern consumer is on the move, almost all the time, and whether they’re at work or stuck in a traffic jam, it is the smartphone that always accompanies them. Even from the perspective of pure business, the social media category is one of the most promising niche to dabble with. Even though this market is packed to the rafters with big players and dominant competitors, the continuous evolution of technology is presenting new opportunities for the realization of fresh concepts & ideation. Once you have decided to dabble in this lush field, you need to go in with a clear understanding that having a mobile application is a prerequisite to make the project a success in any measurable manner. Appy Pie’s app builder lets you create an independent app or an add-in app to an existing web version. Exchange private messages, post status updates, share photos, videos & links, use a multitude of apps within and more. Receive notifications of any relevant activity. Join or form groups with common factors like interests, workplaces, schools attended, hobbies, or any other topics. Categorize friends into various lists or even create their own lists like “Colleagues”, “School Friends”, “College Friends” “Family” and more. Complain about or block people who might be unpleasant in any manner. Expose the content they share only to those that they want to. Targeting ads based on various factors including but not limited to age, gender, interests, location and many more. Trusted Ads or Social Ads are the ads that may be shown to users whose friends have recently interacted with the company’s page or have visited and engaged with the company’s website in any way. Photo sharing became a thing only when Instagram came in and then it rode high up the charts. 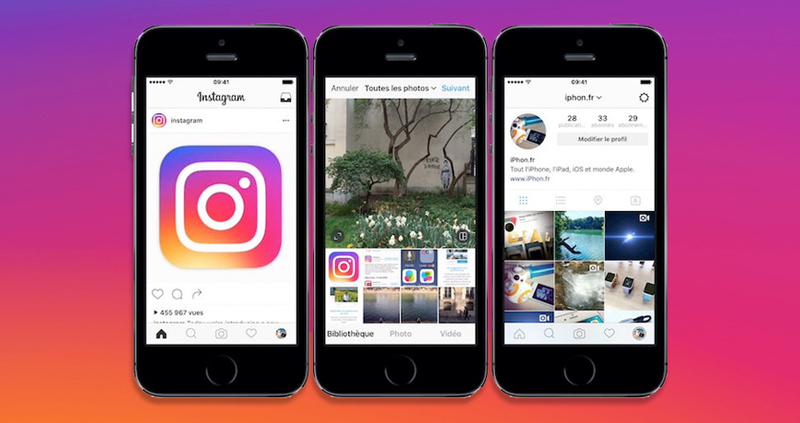 Instagram is an internet based photo-sharing app and service that allows the users to share their photos and videos either privately, publicly, or to pre-approved followers. The revenue model of Instagram is quite unique and has been evolving. Most of their revenue comes from sponsored posts, which are quite like the normal posts except that they display a sponsored tag and a call to action button. Carousel Advertisements. Instagram allows the advertisers or the companies tell their own tale through a series of images that appear in a carousel form, which has been quite a hit on the platform. Stories or video advertisements are one of the more polished forms of sponsored posts that pop up on a user’s newsfeed as they are browsing through the stories of other users who they follow. The microblogging site Twitter is an online news and social networking service where users post and interact with “tweets” – as the messages are termed on the platform. The messages that were restricted to 140 characters were doubled last year in the November to 280 characters for all languages except Japanese, Korean, and Chinese. The platform allows only the registered to post these tweets, the unregistered users however can read them. 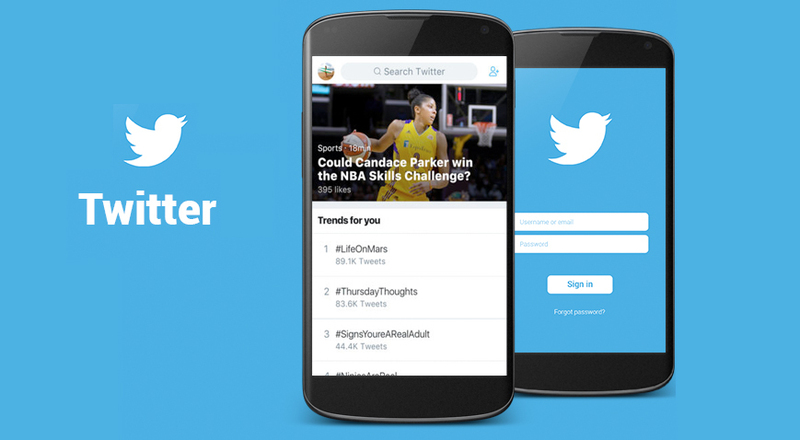 Twitter can be accessed by the registered users through its website interface, through SMS, or through its mobile app. Twitter earns most of its revenue from advertising. Promoted accounts entail buying a spot that appears in the Who to Follow section in the site and also in the search results. This however, appears with a yellow arrow with “Promoted” displayed next to it. Promoted tweets are those that show up in search results and on the timeline of the users. This is a great way to opt for, when you want to draw attention to strong association with a key word strategy. Promoted trends are those that appear right at the top of the “Trends” list and prove to be really effective when it comes to promotion of a product launch or any other event. Twitter Ads which have proved to be a phenomenal success all because of the strong content generation on the platform and a strong user base with high traffic tweeting. Twitter also makes money through data licensing. Now we all know what a social media app is meant to do and what it can offer to the users who decide to come aboard it. However, as someone who is planning to build a social media app, there’s more that you need to know and understand before you begin planning to develop and design your own. Right at the beginning, when you are just starting out, you have to figure out and offer an easy and convenient way to access the product or app that you are building, so that prospective users may have the opportunity to be exposed to it. In case you are planning to build a social media app, registration with other social media accounts can help you speed the process up. Today, majority of your targeted users are definitely using different social media channels like Facebook, Twitter, or Google+ and when you integrate your app to them, the feature allows the users to register or sign up with you in a really short time. Apart from this when you offer an additional feature and offer the users an option or possibility to import their data and contacts from other networks, you are opening yourself up to the possibility of garnering a high number of your app users. At the very least, this feature needs to let the interested user register with your app and create a new account and sign up. When you let the prospective users register using their social media handles or profiles, the ease of process is enhanced greatly and it turns out to be the least time consuming option. But while doing so, you have to stop and ask yourself a crucial question – whether you really want to include a third-party social network in your own. While the strategy of Facebook or Google+ inclusion might prove to be great when you are developing a niche application, but it would be a big mistake if you were say planning to launch your social media app in competition with these established players. The personal profile or account that a user creates on your social media app is of great importance for you and the fellow users. This personal profile that the user creates helps the users identify themselves which contributes greatly to assert the credibility of the data or any other content that they would later share on the platform. There are a number of ways to go about it, you may offer to create a simple, short profile that has in it the picture or Display Photo (DP), username, and a short bio drafted by them. You may also choose to help them create a detailed profile which reveals a lot more about the user including their interest, preferences, location, the number of users in their circle of friends or followers, and even their recent activity. This is the mainstay of any social media app. The social media app has to have an option or element that allows the user to make “friends”, garner “followers” or “follow” fellow users on the platform. It is this element that essentially would make your app a social media app. When it comes to befriending someone on the social media, the features involves mutual consent and is a two way process, whereas when it comes to following someone, it is a one way process. As another option, users can also connect with people based on common interests, groups that they belong to, or their location. There are some apps that allow the users to add their friends from across other connected networks. One of the most important elements for social media app is the opportunity for the users to be able to create, upload, and share any kind of content whether it be text, images, videos, audio, or a combination of some or all of them. Here you have the option decide how complex you want this part to be. Do you want it to be something basic and simple like Twitter, where the amount of content you can share is limited to 280 characters. The other way to go is to go big and offer more elaborate possibilities including photo filters, unique stickers, or live streaming and so much more like Facebook. The iconic social media app, Snapchat gave birth to one of the most recent trends where the posts have limited lifetime, which means that the posts on these kind of platforms stay only for a specific time, after which they disappear. You have the freedom to brainstorm here and set your own trend with unique twists and features. The newsfeed is where all kinds of content is discovered or finds exposure. In general, a newsfeed would include all the updates from your connections on the platform and even from the subscriptions you signed up for. This all is enriched by a smattering of some content that is trending on the platform and is from users who are not registered users on your social media app. This content that appears in the newsfeed may be displayed in the chronological order or appear in the order of importance that it holds in the individual user’s opinion. The latter may only be achieved through employing complex algorithms that are meant to customize the feed according to the user. Popular social media apps including Facebook, Twitter, or even Instagram arrange their newsfeed in order of importance. Then there are some apps that offer personalised suggestions for content that you’d like to explore, which is accomplished with the help of machine learning algorithms that determine your preferences and interests. This element is important as when you allow your users to interact with the content and they can ‘Like’, ‘Repost’, ‘Comment’, ‘Share’, or ‘Reply’, they are engaged and spend longer interacting within the app, instead of just browsing through and navigating out of it. The motivation to create, post, or share any content comes from knowing that someone has seen it and when they interact with what you have posted, it further motivates you to keep the process going creating a favourable cycle of events. When you incorporate the search element in your app, you are allowing your users to expand their existent networks and discover any other content that they might enjoy exploring and sharing. This element allows the users to search for other users by specifying search criteria like name, age, gender, location, interests and more. This also affords them the opportunity to come across relevant groups that they didn’t even know existed. When you allow a user to conduct a contextual search, you help them discover relevant content and in this case, the feature of a hashtag or keyword search comes in real handy. Pinterest has made a good use of this element and enabled an advanced search option. The content on Pinterest is divided on the basis of topics, which means you could, if you wanted, go to a specific section like Gardening or DIY and explore all the relevant content and images. Additionally, you can also employ a keyword search when you’re looking for anything in particular. This is one element that you can take your time thinking about. There are some social media sites that can do without having to employ this element, however, the provision of chat can take the engagement levels to a new high. This element can be used to carry on a private conversation with your connections or a direct conversation with the admins of a business page or group. The usage of this element varies from one platform to the other, while not everyone uses this element on Twitter, the chat option on Facebook earned popularity of such massive scale that they had to launch a separate Messenger app for it. It is natural for people to look for other people who share their interests. So, if you are a dog lover, you are probably interested in meeting other dog enthusiasts. When your social media app allows like minded people to come together, it also offers them a huge opportunity to share their interests, discuss the details, motivate each other to take their passions further and so much more. The feeling of community binds people together and to the platform that gives them an access to this community. Once you have pushed your way through the initial phase, the following advanced functionalities and elements might be a good way to increase user engagement. The scope of a social media app is huge and the project would definitely be of a big scale. In cases like these it is wise to begin with the MVP or minimum viable product. An MVP essentially is a version of the product that has a minimum core set of functionality that quickly lets you launch your product to the market so that you can test it in the real marketplace. This way, as a developer or app builder you can announce and launch a version of the product really quickly and the amount of time and money you save in this way is substantial. Once the MVP you launched goes through the whole process of validation, then the product can go into the finalization stage, and advanced features may be added, design can be worked on, and the UI/UX may be improved. Once that is done, the application or the final product is then ready to be launched in the market for a fresh cycle of rigorous testing and process of validation. Two of the most important things that need to be kept in mind to make your MVP begin on a positive note are user engagement and analytics tools. The core functionality of the tool is of course of prime importance and is a must-have in your MVP, but it is not wise to completely ignore the aspect of user engagement. It is quite common in the process of development of the MVP to completely overlook or de-prioritize the factor of user engagement. One must not forget that just getting someone to install your app on their device is not enough; it is a fact that more than 80% of these users would churn at some point of time. The whole idea of releasing an MVP is to procure as much data as possible. It needs to help you copllect information about user behaviour and requirements that may include smart onboarding, integration with other existing social media platforms, networks, and maybe apps, gamification, and user re-engagement with push notifications and emails. To be able to achieve any of this, it is vital that the MVP you release is optimized for user retention. Mobile analytics help you source real time data from your app itself. This data retrieved through mobile analytics would include the number of active users, their in-app activity, preferences, and perform behavioural trend analysis. For this purpose you can even use third party mobile analytics tools like Google Analytics, Flurry, or Localytics, as they can ease out the process of trying to make sense of all this data at your disposal. Through these mobile analytics tools and their findings, you would be able to get actionable insights about what your users really are looking forward to in a product like yours, which will in turn help you enhance your product and mould it t o suit these expectations and requirements. The UI/UX design depends on the kind of product you are building, however, there is one important element that should be a part of the development of a successful app – quality assurance. There are a huge number of devices in the market, each with different screen resolutions, and mobile OS versions. Carrying out intense testing processes helps you optimise your application for the best compatibility with the most popular environments and devices. Apart form the functional aspect of the app, the app should also go through load testing so that the app is verified to perform equally well whether there is one active user at a time or 1,000,000. For social media apps in particular this kind of testing assumes great importance. This should allow the user to create a new account, or ​sign-in into the existing account through social networks. This should allow the user to add, edit, or remove any personal data that they might put-up on their personal profile. This should allow the user to create a post whether it is text, pictures, or both. It should allow the user to mention people and add tags. The users must be exposed to some kind of a feed by one way following or subscription, should be able to like and comment as well. Since it is a social media app MVP, it must allow the users to share as much content as they’d like, and invite friends from other social media channels as well. The users should be able to carry out private messaging, preferably with the option to exchange photos as well. This feature of sending photos in a private message may be added later as well. This should not be a scenario where you are shooting in the dark, because if you miss you might have to deal with the financial losses that the “miss” would entail. This study needs to be done right when you begin brainstorming. Any social network platform is created with the intent to meet certain needs of the population or a section of it. When you study the community that you are planning to serve with the platform, you would have a clearer understanding of their preferences, likes, dislikes, requirements, and expectations. Once you know these aspects, you are better equipped to understand the psychological factors that shape up their persona as your consumer and this understanding would help you do exactly what will get their attention. There is a good chance that the product you are planning to offer, doesn’t have an established need in the market, in this case, when you have the demographic and psychographic data at your disposal, you have the opportunity to trigger and create the need for your product. The outline that you draw out for the desired features and functions of your platform are in direct relation and context with the study and identification of your target community. It is the requirements, desires, and expectations of your target community that you have identified that will shape and outline the features of the platform. What is it that you want your users to do within your platform? What would you do to address the security issues and maintain the privacy of the users and their data? It is important to develop a lucid overall vision of what your social media platform is going to be. At this stage conduct a macro scan to break things down into categories such as user functions, administrative functions, advertising and such is an absolute necessity. Create a crisp outline of the type of data and content that will be circulated, what they would be able to post, how they will register and what kind of automation would you be using to begin with. This phase entails numerous such considerations. Once you have outlined the features and functions of the social media platform that you are going to create, it will help you determine the platform and the company where you can create your own network. At this stage, one of the biggest concerns to emerge is the one about selecting the method that will be effective and efficient for your social media network. Choosing the method would involve a thorough evaluation of technology that you would be employing and must be left to professionals. Hiring an external consultant at this time to help you compare technologies can be a great solution and would definitely save you a lot of time and money in the long run. Asking the right questions can help you analyse whether the technology and solutions they offer are in tandem with your idea. Last but not the least, analyse the existing social networking platforms and the kind of building technologies that they have used. This learning process can help you figure out a great number of issues and opportunities for your social media platform. After listing the user specific features out, it is time now for you to prepare the growth environment. The underlying intent of a social media platform is to try and engage the users in myriad social activities and keep them longer on your platform, and for that certain rules assume a lot of importance while building the different pages of the platform. To help make your social media platform profitable, we would like to list out the three pillars of your platform. Any kind of vulnerability on your platform might deter the user from interacting with it. It is important, therefore, to make use of reliable security systems assuring your users that they can freely engage with the platform and explore all kinds of activities on the platform without any fear for intrusion in their privacy or any kind of leaks of data. To begin with, you might not be sure, to what extent your platform is going to grow, but it is important to be prepared for it. Facebook couldn’t have imagined in the wildest of their imaginations that they would expand to the scale that they have today, but Zuckerberg was prepared to handle exponential growth right from the beginning. You would have to make sure that your social media platform is equipped to expand with ease and speed to match up to the pace of your growth curve. In this day and age, a social media platform without an activity stream is not really much! The activity stream of a social media platform is at the core of it. This feature was first introduced by Facebook and since it is them who set the industry standards, the feature went mainstream in a jiffy and cast an impact on almost everyone. What others are doing has always been a point of interest for most of us and that kind of has become the point of getting on to any social media platform. We have a curiosity to know about them, how they are feeling, what they are doing, every moment of every day and when your social media platform doesn’t have a quality activity stream, it affects the attractiveness of your social media network. Some of the tools like Joomla’s plug ins or Drupal’s Activity Stream Module can prove to be quite effective in achieving the desired results. Just like we want to know what our friends are doing, we also want to let them know what we are up to, how we feel today, and what we think about something. It is therefore important that the users on your social media platform are afforded the option to create status updates at any time of the day. In doing so employ the best tools to design this feature so that the status updates are pleasurable and are easy to perform. It is Facebook that popularized the activity stream but it was Twitter that brought the spotlight on status update as a popular and mainstream aspect of various social media platforms. Status updates can become quite addictive and people get hooked really quickly. If your status update feature is anything less than exemplary, the users are likely to abandon your platform and move on. So what is it that you can do to design the perfect status updates tool. Well, it is not so easy to answer this one, as it entirely depends on the values of the social media platform that you are building. Twitter made an amazing move by limiting every status to 140 characters or less, which made the developer’s work a lot easier. While you figure out a defining design for this feature on your platform, ensure that you have an option to add comments or reply to the status update. After all it is interaction that is supreme, when it comes to a social media platform. What are you planning to do to increase the engagement level and clicks within the platform that you design? One thing that you must do though is create a multitude of data viewing features which is bound to increase the visibility of the content on your social media platform. It is important to remember that the users would only see what you allow them to see on your platform. In case you do not have enough data viewing options on your platform consider the following checklist of features that you need to offer your users. The data viewing features need to be designed keeping the user at the centre of everything. The feature must not only be easy to use, but also give them the option to customize or tailor the kind of data that they would like to be exposed to. It is this customised experience that would bring your users back asking for more! You have already studied the kind of community that you are going to target and have developed the right kind of features, now it is time to attract them to your platform. There is an abundance of tools that can help you create awareness about your platform in the market. Facebook was built in a college campus and turned out to be a pioneer in the world of social media. It was the good old word of mouth that they relied on. Though this traditional method is one of the most effective marketing tools, but to be able to talk about your platform, the people have to know of its existence. Digital marketing is a great way to increase this awareness and can offer you the right set of available options to help you reach your goals in a cost effective manner. Here’s how it works! If you do not have an email database, it is high time you get going on it and create a strong one. There are a number of lead generation tools available for it. Once you have acquired a relevant database, prepare engaging templates and use them to send out newsletters. This is a traditional tool but is quite effective in getting you a strong audience. Build a blog of your own and use it to let people know about your social media platform. People would always be interested in the content that can prove to be useful for them in some manner. Provide them just that, with clear titles, concise information, and interesting topics to peruse. One tactic that has proved the most beneficial is getting in touch with the blogging influencers and get them to write a post for your blog as a guest blogger. This can help you achieve great traffic and engagement and you can even monetize your blog for some ROI. The moment you see any other portal mentioning or talking about your social media platform or write a news piece about you, act immediately. Establish contact with them and start building a community. Pose a query about another follow up piece on their portal and respond to their story with a blog post of your own. This kind of engagement and care is appreciated widely. This is one of the more direct ways to market your product. Activate a number of paid ads for a fixed period of time while experimenting with the content of each of them to figure out what it is that works the best. Carry out analytics and test which version gives you the best results, then focus all your marketing budget on it. The clear picture of your audience and the features and functionality that you have developed needs to be conveyed clearly to the developers you are going to hire for the job. The money or the budget is a big concern and it is important to have a clear idea about it. To develop something similar to Instagram you would have to have a budget in the vicinity of $300,000 and if you are looking at a social media platform of the magnitude of Facebook, the budget would be around $500,000. However, if you are looking to cater to a smaller niche, and looking for simpler, less complex features, the cost can come down to a humble figure in the range of $25,000 – $125,000. Make the decision right now and decide whether you want your app to be for iOS, Android, or both. If your target user group lies in North America, Western Europe and Oceania, iOS may fare better for you, but for the rest of the world Android is the way to go. This is one of the toughest things to predict or have an estimate of. You might set up a plan to dominate the niche you chose in a couple of years and be able to move up to the next one, but who is to say what kind of traffic you would garner in this time period. When you have conducted a thorough market research, it is natural that you have a rough estimate of the traffic that you might be able to generate and you can let your developers in on that. It is this traffic that will contribute to your database and to your budget. You would have to figure out at this stage if you want an MVP product that may be scaled later or the high load one for huge traffic. This decision needs to be made keeping in mind the difference in expenses the two options entails. Even if you choose an MVP it is important to make sure that it is scalable. The UX design is pretty critical because the platform has to be easily navigable and an enjoyable experience for the user. The development team would need to keep this in mind while designing all the features and ensure that layouts, architecture, and overall design standards are consistent and logical. When you want to create a social network website that would be a source of delight for their users. There needs to be a heavy investment and focus on a decent app architecture. Hiring this whole team in-house for the development of your social media platform might be really expensive for you. Instead it is a better idea to approach a reputed developer or a firm like Appy Pie which will offer you continued support for maintenance and scaling. While building the platform might seem to be all fun and games to you, but since you are spending a lot of time, money, and other resources on it, you need to have a plan of making some kind of a money from it, and the real money rolls in only once you have gained a decent amount of popularity. This aspect needs a lot of patience from your end, as it really does take a lot of time to reach a respectable popularity level. Take a look at some pro tips to increase the popularity of your social media platform. When you have identified the niche that you are going to serve to and are aware of their preferences explore retailers who would like to advertise on your platform and initially you may even offer some amount of free advertising, garnering some credibility for your platform. When people see some good brands on your platform, they are going to put some faith in it and be convinced to join it for the perceived popularity. This might not be possible to achieve overtly at the initial level. Initially work hard at developing relationships with potential advertisers, mention their offerings on your platform, follow their content postings, add comments and link back to your site, and publish quality content on your platform showcasing your expertise. You may look for content marketers at this level for better results. Weed Out The Shady Advertisers. The advertisers that you allow on your portal or platform need to be relevant, add some value to your content and be genuine. Disruption from irrelevant or annoying advertising is the worst thing you can subject your users to. The advertisers on your platform are a reflection on you. This is especially significant when you have outsourced your development. While hiring them, make sure that they offer continued maintenance and support solutions and scaling when the need arises. This is important when you want to offer a more vibrant user experience of interaction with the social media platform. When you elaborate a system of integration of existing services, the users would not have to choose between what they are plugged into already and the one new service that they have now come across. Here is a list of third party services we recommend. These are the networks that offer their users an opportunity to share visual content including photos and videos – Instagram, Flickr, YouTube, Vine, Snapchat, Vimeo etc. Among these scaling of content becomes a distinctive feature where some are offering the option to post short videos, others are allowing you to build your own channels. These are probably one of the first forms of social media which also include the Q&A services, communities or related forums. It is the need for knowledge sharing among users that forms the core mechanics of the interaction between them. Examples – Quora, Reddit, & Digg. This is where the users can collect or book mark the content on a personal library, which can then be followed by other members of the community. These platforms study the preferences of the users and then offer more relevant content. Examples – StumpleUpon, Pinterest, & Flipboard. These are some of the more specific and targeted networks which appeal to the niche interests of the users. Examples – Last.fm for music lovers and Goodreads for literature enthusiasts. When it comes to the business analysis of a social media mobile app, it is recommended to stick to the metrics that may help you track engagement and then recommend actionable solutions. These can be categorised into – financial, user, acquisition, sales, and marketing. CPI or Cost Per Install is calculated by tracking the number of installs that are directly a result of advertising. CAC or Customer Acquisition Cost is a sum of all the marketing efforts that have been employed to lure in a customer. This factor is a strong way to determine whether the business model employed by the company is viable. This is the number of activated users compared to the total number of downloads. The parameters or the activation action differ from app to app. This is the proportion of users who come back to use the app based on the date of their first visit. This retention rate needs to be checked in the event of a new release as it helps them figure out what is it that is working in the new version and what is not. The churn rate represents the number of users who discontinued using the app and lesser it is, the better it is for you. This is a combination of quite a few target in-app actions, including the length of the session and the interval between two sessions. Length of session means the duration between the user entering the application and then leaving it, the interval is the duration between two successive sessions. Traction is the quantitative evidence of the market demand for your app and depicts the patterns of the month to month growth of users. This represents the amount of money that is being spent on the mobile app on a monthly basis including server costs, marketing, staff among other things. This is the figure that indicates the numerous necessary resources available and needed to plan the future growth and fundraising efforts. Let’s simplify the whole process of making social media app like Facebook, Twitter or Instagram, and its features before you create your own app with Appy Pie! Developing a social media app is not an easy task and involves a number of complexities. However, when you stick to the process we advise and hire a strong professional team like Appy Pie, you are bound to find success.